Burgazada is my favorite getaway in Istanbul mostly because it is not a preferred location by locals nor the tourists. Travelers and Istanbulites tend to choose to go to the largest island, Büyükada, for a day trip. I'm definitely not against it. There are amazing spots to see as suggested by Başak in "A Great Day in Buyukada, Largest one of the Princes' Islands". However, I like to experience places where I come across the local community members and people who prefer off-the-beaten-path places in general. Below, I put together a simple itinerary that would help you get to Burgazada, enjoy a full day, then get back to the city again. Hope you make it your next trip. Enjoy! Check Irmak’s great article, which is one of the best resources for learning how to get to the island. Taking the ferry is quite an experience, and I strongly suggest it. You'll be watching the seagulls, the scenery, and enjoy simit with Turkish tea throughout your trip. If you choose to take the ferry, then try to take an early ferry, the later ones will likely be full and you may need to stand throughout your trip. You can have a quick breakfast on the ferry. Surprisingly, they have a rich menu (simit or toast with Turkish tea are the most common options). Locals' favorite is simit and Turkish tea, enjoyed outside. Once you land on the island, start walking towards your right (North) and start your long walk. I personally don’t like to take the horse and carriage. Even though the horses look healthy, it feels unethical to use them to get on the hill over and over. I’m here to explore myself anyways. Make sure you have some water with you -- no snacks! This will be a scenic walk starting at the sea level, then you will be climbing the hill. Your first stop after walking around 30-40min (depending on your pace) will be Kalpazankaya restaurant for lunch. This place has a great view, and amazing food with affordable prices. Please note that you should make a reservation beforehand. Otherwise, you'll be waiting for a table. Keep in my that many Turks like to enjoy long meals, especially at restaurants with a great view. The tables that have the best view are usually booked for big groups. You may need to talk to the management to be able to reserve those spots with the view. In my experience, I had to talk to the manager, Nagehan, was able to convince her to have the table before the party arrived. To be honest, it wasn’t easy to convince them. But, it worked out, and we had a table for an hour, till the people who initially booked it arrived. Definitely work your charm! Or, book in advance! Walk back to downtown after lunch to digest all the food & drinks you had. Now, you’re ready for a good exercise. There are a lot of options for renting a bike in downtown. They all pretty much cost around 7,5 TL per hour. But, first, you need some energy, right? This is going to be one of the best ice creams you’ve ever had in your life. It will also give you a ton of energy. Now you're ready to bike to the peak of Burgazada. 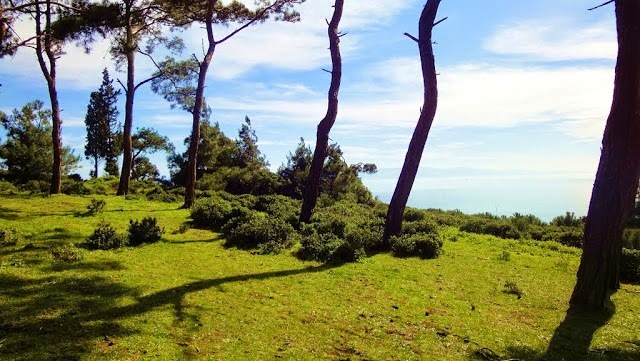 Check out the ideal route to get to Bayrak Tepe (Flag Hilltop) with the best views and the wild horses. Bayrak Tepe is at the peak of the island (170mt. ~510ft.) resting on the south side of it. You may not be able to ride your bike up to the top (depends on how fit you are). It’s OK, if you choose to walk your bike half of the way. The scenery is pretty amazing, you'll enjoy the entire walk. You will perhaps see the wild-horses on your way. Once you get to the hilltop, take some time to listen to the island’s birds and your inner voice. This is a quiet spot far far away from the rush of the city. Find solitude! Sait Faik Abasıyanık is one of the most prominent Turkish writers of all time. Unfortunately, you are not going to be able to see almost any information written in English, however, you can read up on him, beforehand, or take it with you while you’re wandering in his home, the museum. The museum is closed on Mondays and Tuesdays, and will be open till 6PM. 1 hour will be enough for you. This church is almost across from Sait Faik’s museum. It has been renovated for at least three times due to the fires and earthquakes. It wasn't open when I was there. I hope you can get to see inside. St. George's Monastery is a beautiful Greek Orthodox Church (Aya Yorgi Manastırı) and a peaceful place on peaceful Burgaz Island. This is one of the 21 synagogues located in Istanbul. This synagogue was built in 1968 for the increasing needs of the Jewish community in Burgaz Island. The name of the synagogue means “the tent of Yaakov,” and comes from Yaakov Mazon, who contributed to the founding of the synagogue. 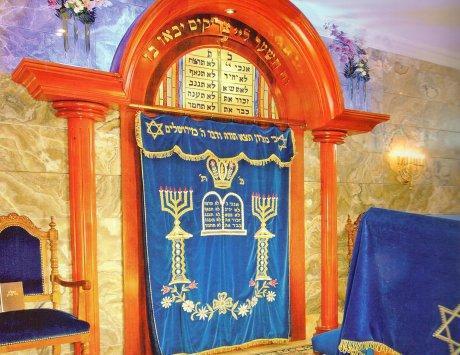 It belongs to the Neve Shalom Synagogue Foundation, and is open for services only in the summer season. The only mosque of the island is called the Burgazada Mosque and was built in commemoration of the 500 year anniversary of the conquest of Istanbul in 1453. This is the praying space for the alevi muslims. You will find the tea garden across from it. It is a social gathering space for the community. Feel free to go in and order a tea. Take the ferry back to Kabataş, then take the funicular to Taksim, then take the metro to Şişhane Metro Station. Get a great dinner at Aheste on Serdar-ı Ekrem street in Galata. The owners are Persian-Turkish, and well-known for their traditional mezes (tapas) with a modern touch. Make sure you make a reservation beforehand. I hope you'll have an amazing time on the island. Please share your comments, experience below in the comments section. Cheers! A Day On The Bosphorus: I Am On A Boat B*tch!! !